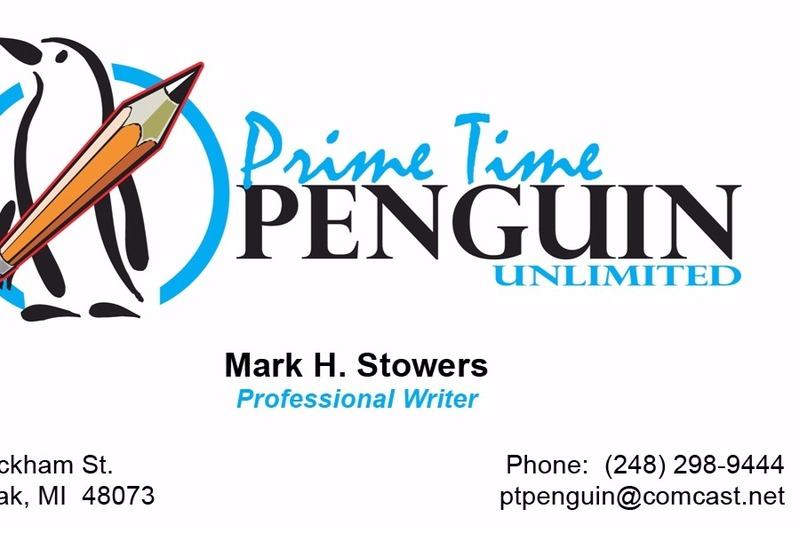 As a storyteller and journalist, I inform, hopefully educate, entertain and amuse with the articles, advertorials, columns and training material that I generate from my one-man-band freelance copywriter business, Prime Time Penguin Unlimited LLC. But I need your help in continuing to do so. In this age of technology, I’ve fallen behind due to aging, limping and yes, dying equipment. I’ve decided to ask for help to procure a new(er) laptop to create my work. As a Mac-man, my business has been firmly grounded in Apple products with IPhone and such so any suggestion of moving to a PC platform just isn’t a feasible one but I do appreciate that thought. With this GoFundMe page, I’m seeking to raise $6,000 to find a new(er) MacBook Pro laptop, back-up system and other needed office supplies. Ideally, I would like to have a desktop and a laptop as in addition to my writing I am working on video and audio projects and am learning how to create WordPress websites. · For any $50-dollar donation, you will receive an hour of writing work for an advertorial, web content or any other project you may have. · For any $100-dollar donation, you will receive two hours of writing work. · For any $1,000-plus donation, a website and number of pages to be determined as well as writing content for other projects will be discussed. Any amount donated is welcomed and appreciated. As I'm working on a Mac Mini that restarts and hangs up quite a few times a day, I'd like to find a new(er) laptop as soon as possible. My work can be found with a simple Google search that will take you across pages from the Clarion Ledger newspaper, the Delta Business Journal, Delta Magazine, The Daily Tribune, The Oakland Press, The Macomb Daily and several others. I enjoy giving back with my skills as I volunteer my time with Upton Elementary School to train fifth graders on how to put together a news cast for the school. You can see that on ustream.tv and search for Upton. I also work as a Public Address Announcer for the local city league football and cheer program and for local high schools. Please take a moment to consider helping me take the next step in my writing journey and career. I would greatly appreciate it. Thanks to everyone for reading and sharing my columns and articles! ....busy on some large projects and plenty of magazine, newspaper and advertorial things to write as well. Check out my campaign and help me improve my business! ....i'll be heading south on Friday towards home. Looking to be face to face with plenty of folks! ...a new year, resolutions and all...how long will they last? What are they? Big/small/medium sized? Will they impact your life, your community, your world? Just a day or so after Christmas, I caught a virus that the doctors said I just had to fight through and drink a lot of fluids and take Ibuprofen. It's kept me down and on the couch for the past week but I'm starting to climb out of the pain and fog of it all. As I dig into my 2018 work assignments and start plotting my to do list of who to call, what questions to ask and hit the deadlines set before me, my work resolution is to be a better writer and to meet deadlines way in advance instead of three days beyond. A big part of that would include finding a new(ew) laptop to improve my business. Take a moment and look over my initial ask here on gofundme.com. Any thoughts or consideration and especially donations would be greatly appreciated. Thank you and I pray you hit your 2018 resolutions!